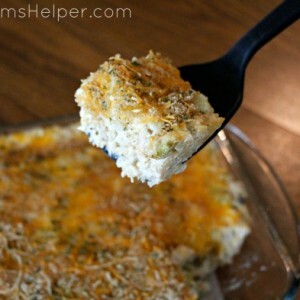 My family loves a good casserole dish, and I LOVE how easy they are to make! We do get stuck in our favorites, though, so decided to switch it up a bit – and it turned out a new favorite! 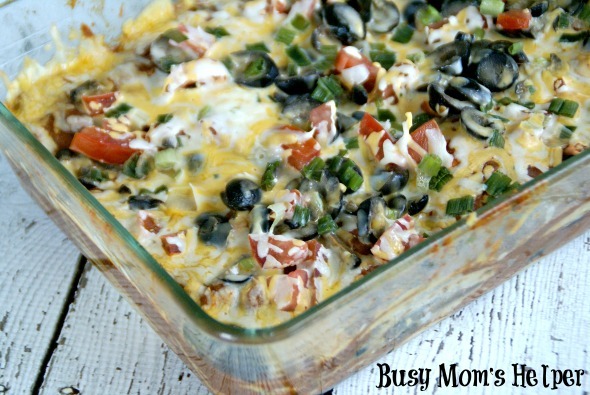 Whip up this Creamy Chicken & Rice Casserole for yourself in hardly any time at all! The best way to go about making changes and tweaks to your favorite dishes is by having a good, flexible base – like in this it’s the Campbell’s® Condensed Cream of Mushroom Soup. I always grab a couple cans while I’m at Walmart, since it’s great in such a variety of recipes! Feel free to make a few changes to see how your family likes this best, such as changing the veggies or addin gmore or less seasonings! Preheat oven to 375 Degrees F. Spray a deep 9×13 baking dish, set aside. In a pot, bring the can of mushroom soup (plus 1 can water) to a boil. Add the rice, return to a boil, then simmer about 5 minutes. Remove from heat and let sit about 5 minutes while you do the rest of the prep. In a large bowl, mix all of the ingredients (except the toppings: cheese, bread crumbs and parsley). Stir in the rice. Spread into the prepared baking dish. Top with the remaining ingredients and bake, covered, about 30-45 minutes, or until the broccoli is tender. Enjoy! This is also really filling, which is a great bonus! Again, feel free to switch it up for your own preferences! What other delish recipes are you eager to try this holiday season? 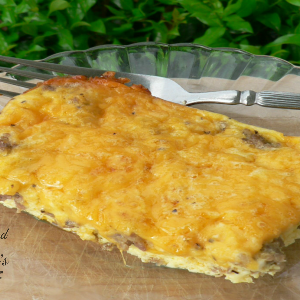 Today I’m sharing with y’all a recipe I grew up loving, although I’ve tweaked a few things to make it work with my own family’s taste preferences! 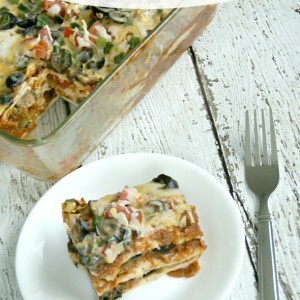 I love flexible recipes like these Layered Beef & Veggie Enchiladas – you can change the level of spiciness according to who you’re feeding, leave out certain ingredients if your family isn’t a big fan – just make it yours! Like a lot of cheese? Add more. Hate mushrooms? Leave them out. Use your favorite type of tortilla! 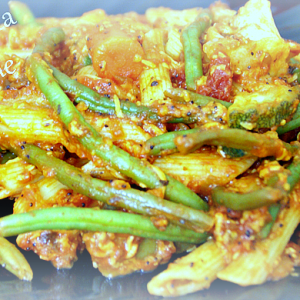 This is totally the type of recipe that you can custom fit to your tastes, leaving one very happy tummy! Sometimes I’m in such a hurry, I want to just throw stuff together, pop it in the oven, and call it good. 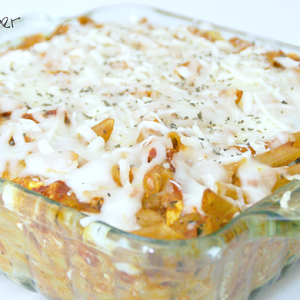 This Easy Pasta Casserole is one of those recipes that turns out delicious AND healthy, despite the quickness! I love that the ingredients are easy to stock up on, so it’s great for an ’emergency’ or ‘back up’ meal on those nights I just flat out forget to get dinner ready. Cook the pasta until almost soft. Pour into sprayed 13×9 baking dish. Pour in veggies, cheese and sauce. Mix well. Cook, covered with aluminum foil, about 30 minutes. Remove foil and cook for another 15 minutes. 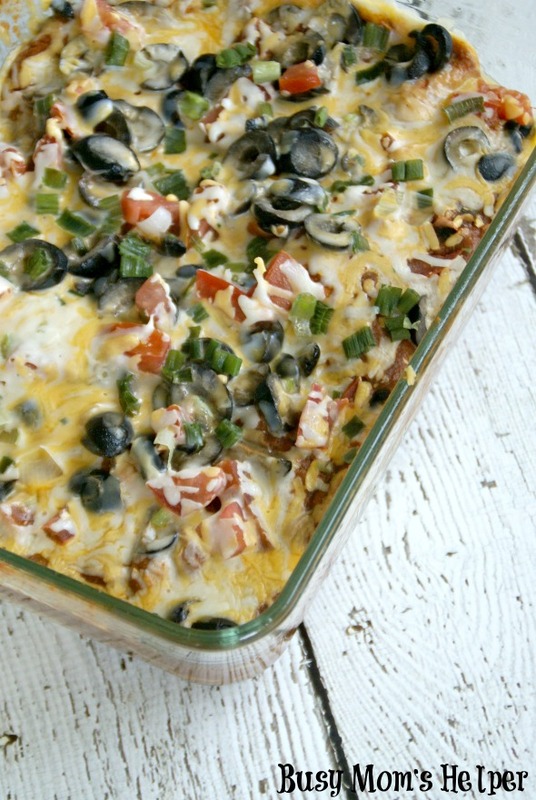 Notes: You don’t HAVE to use that much cheese, but oh it’s so good! Also, you really can use any type of pasta, I’m sure; we just use penne so the sauce gets inside and makes it even tastier! I like to use Normandy blend veggies, plus green beans or corn. My family loves, loves, LOVES pasta. Really, no exaggeration whatsoever! My kids loved pasta before we could get them to eat much else. My hubby and I almost always order pasta dishes when eating out, just to compare differences, get ideas, and to enjoy every bite. So when I come across a pasta dish that’s both quick, cost-effective, AND absolutely yummy, it’s filed in with our favorites! Cook pasta as directed. Add spinach to boiling water for last minute. Combine all ingredients, except ½ cup Mozzarella and all Parmesan, in sprayed baking dish. Bake 20 minutes. Top with remaining cheeses. Bake another 3-5 minutes, until cheese is melted.